Our 1.9" Galaxy bead lock ring was a customer request that we just had to produce! 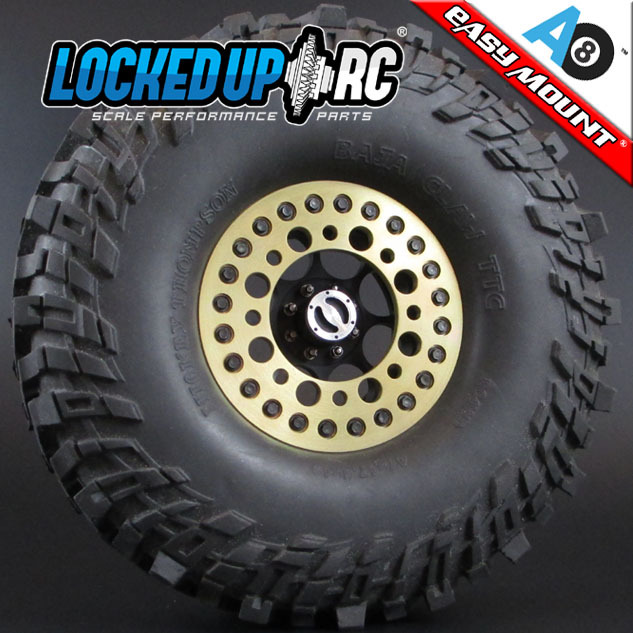 Made of high quality aluminum, this ring is drilled to match the Axial SCX 1.9" bead lock ring mounting pattern. 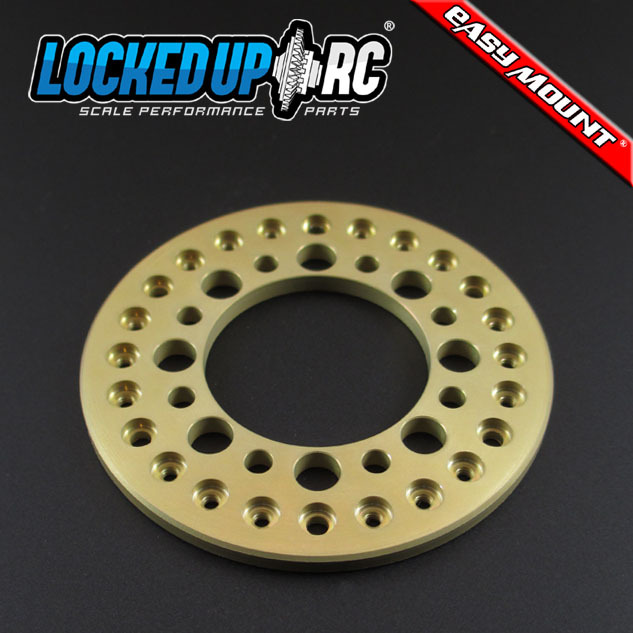 After machining, this ring receives a golden chromate chemical film coating. The coating promotes paint and primer adhesion for those of you wanting to go with a custom paint job. The coating looks nice but is not as durable as hard coat anodizing.